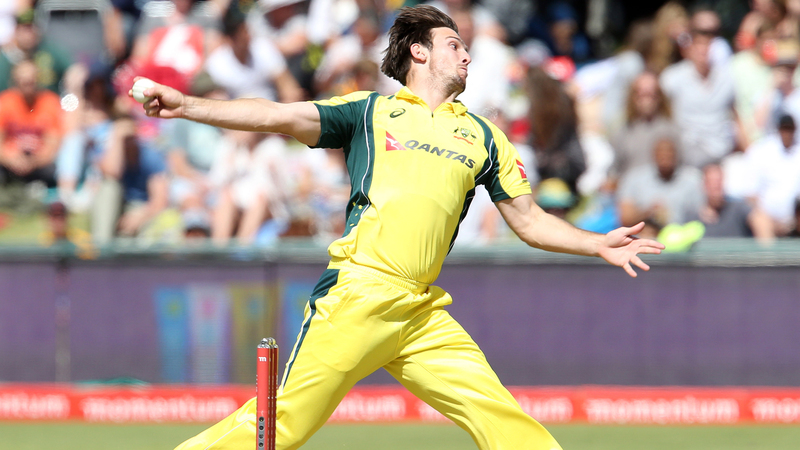 Ashton Turner has been added to Australia's one-day international squad as cover for an ill Mitchell Marsh. Marsh will miss the opening game of the three-match series against India on Saturday due to gastritis. The all-rounder may feature in the final two games, but Turner – who has played three Twenty20s for Australia – has been called up as cover. "He can finish the innings off well, an elite athlete in the field and he's also a captain," Australia coach Justin Langer said. "You see the way he finishes off an innings that he's a good thinker of the game like most of the great finishers and a really good leader, good person around the group. "I'm very excited to see him come in." It continues a rough week for Marsh, who was dropped from Australia's Test squad for the series against Sri Lanka due to poor form.